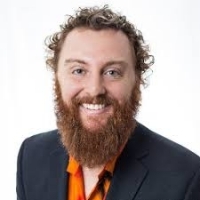 Nate Brown is the cofounder of CX Accelerator and director of customer experience for UL EHSS. While customer service and the customer experience are his primary expertise and passion, Nate is able to leverage his experience in professional services, marketing, and sales to connect the dots and solve the big problems. From authoring and leading a customer experience program, to journey mapping, to managing a complex contact center, Nate is always learning new things and sharing with the customer experience community.